Between Size 12 [John James - B12] - $0.25 : Edinburgh Imports, Inc., Your source for teddy bear making supplies & 100% Schulte® German Mohair. 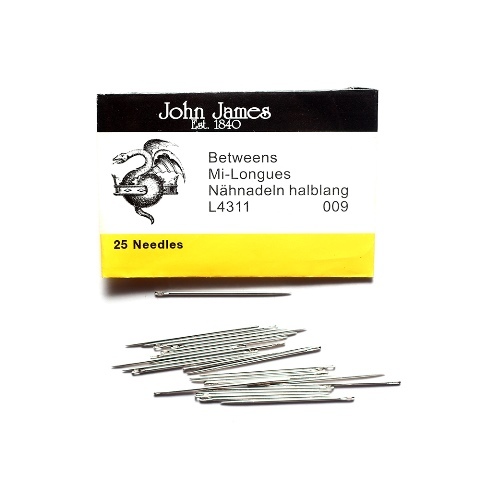 Quilting needles, sometimes referred to as Betweens needles, are a very short and fine needle with a round eye. Traditionally they were used by tailors and professional sewers and today they are most commonly used in the art of quilting. 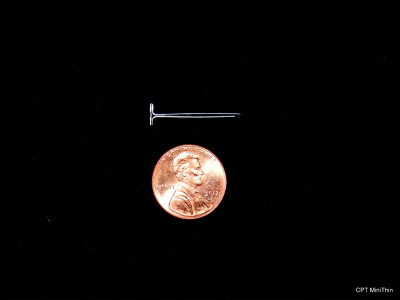 The diameter of the needle is the same as a Sharp needle however they are much shorter in length. The short length allows the quilter to create quick and even stitching.